If you hadn't realised it's Baselworld 2019, when watch companies from all around the globe (mainly Switzerland) converge on Basel to unveil their latest creations. We've already had some stellar releases from Rolex and TAG Heuer this year, and now it's time for Tudor to take to the stage. After the incredibly popular Black Bay GMT last year (which happened to win a T3 Award) there was a lot of pressure on Tudor to wow the crowds again this year. It's done so with the Black Bay P01, a watch based on a legendary prototype developed in the late 1960s and proposed to the US Navy. First, before we get onto the new watch, a little history lesson. 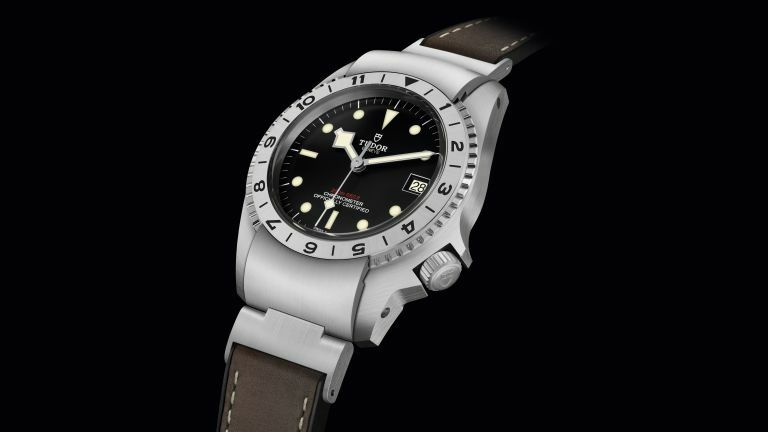 In 1967, Tudor began development of a technical model to replace the Oyster Prince Submariner 7928 reference, which was standard-issue for the US Navy at that time. This new watch needed to meet a set of specifications decreed by the American government and incorporated the results of the latest research into functionality and ergonomics carried out by the brand's engineers. A development phase was launched which resulted in the production of prototypes, as well as a patent for a hitherto unseen function. This ambitious project, which carried the code name "Commando", never came to fruition as the regular Tudor divers' watch, reference 7016, was eventually adopted by the US Navy. In 2019, the Tudor Black Bay P01(which stands for Prototype 1) is inspired by a prototype developed as part of this study and kept in the brand's archives. The hinged end-link system on the original prototype was the subject of a patent in 1968, which covered a locking and dismantling system for the bezel to aid maintenance of the watch. The Black Bay P01 model does not literally reproduce this mechanism but borrows from it, providing a stop system for the bidirectional rotating bezel via a mobile end-link at 12 o'clock. It's a lovely nod to the original prototype. The Black Bay P01 is waterproof to 200 metres and features hours, minutes, seconds and date functions. It is fitted with a domed matt-black dial with painted luminescent hour markers. Respecting the utilitarian aesthetic of the prototype that inspired it, the case is entirely satin-brushed for a matt finish. Inside the P01 is Tudor's Manufacture Calibre MT5612, which is certified as a chronometer by the Official Swiss Chronometer Testing Institute (COSC) and has a 70-hour power reserve. In other Tudor news, the brand also unveiled the Black Bay Chrono S&G, a new model combining the aquatic and motorsport heritage of the brand. It features a steel and yellow gold 41mm case, black dial and champagne-coloured counter. The dial is finished with red accents, for a sporty look. The Black Bay Chrono S&G is available in a riveted steel and yellow gold bracelet, brown leather strap, or a black mesh strap. For the smaller wristed customers, Tudor has released the S&G version of the Black Bay 41, 36 and 32. Making them more elegant than ever, these new watches feature a five-link yellow gold and steel bracelet and case. And finally, there is also an updated version of the Black Bay Bronze in a new slate-grey colourway with shaded dial. It's available on a slate grey fabric strap or a black nubuck leather strap. T3 are at Baselworld 2019, bringing you all the latest news. Stay tuned. It's limited to just 250 pieces and it's exclusive to Goldsmiths, so be quick!